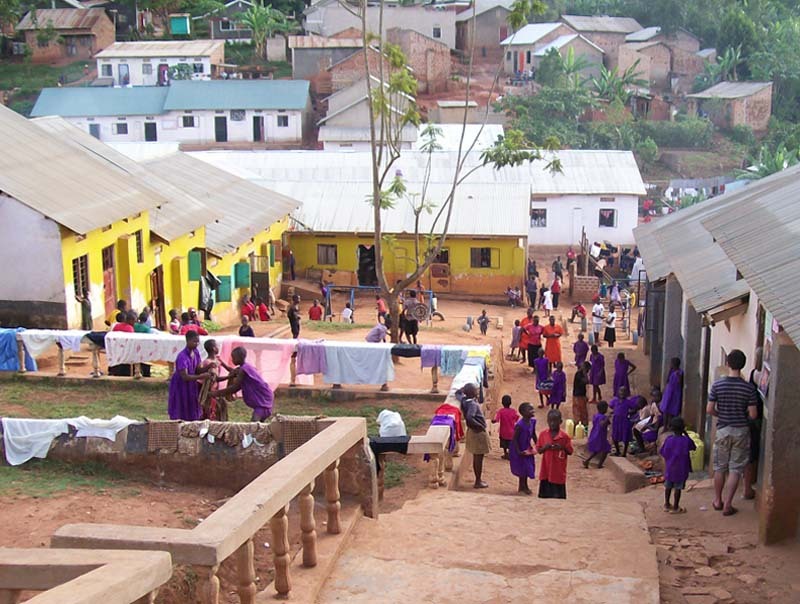 The Revival Centre, at Matugga in Uganda, is run by Pastor Ivan Lugolobi and comprises a primary school of 450 pupils, a secondary school of 180 pupils, an orphanage for 105 children, a clinic and a busy church. The Centre provides the chance of an education to 525 local children and 105 orphans who have been rescued from all kinds of despair. Ivan’s elder sister Ruth runs the Revival Clinic and treats up to 450 people a month and his twin sister Jane, runs projects with widows to help them generate income and support their families. This project is supported by Churches Together Ilkley, both financially and with material support and professional advice provided by some who have taken this project to heart. Pastor Ivan visited us at Christchurch early in June 2009 to give us an update of progress, and to tell us of the new Agriculture Project he hopes to establish. Further information can be had by contacting Phil and Libby Chappell (from St John's Ben Rhydding - address is on the attached Newsletters) or visiting the Revival Centre website. You will find details here of how you can Sponsor a Champion or send Christmas Gifts from their gift catalogue. The Matugga Challenge 2009 - Succeeded! In September 2009, Christchurch committed itself to raise £8000 by the Christmas, as the Revival Centre needed to build a new secure dormitory for 150 boys. In fact, the challenge raised £10291 with a further £1200 coming through Gift Aid. A big THANK YOU to everyone for an amazing fund raising effort through generous personal donations, a puppet show, a railway talk, a donation from the White Rosettes' concert, the Guild's fundraising afternoons, choir teas, sales of Wharfedale DVDs, Delicious Desserts, collection at the Carol Service, and many other events. These are now available on the Revival Centre website under Gift Scheme.